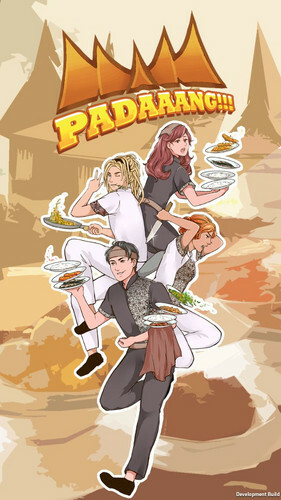 Padaaaaaang! 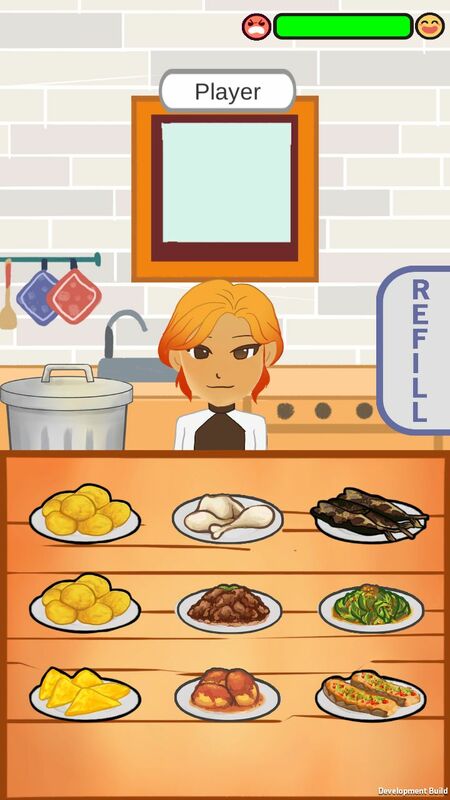 is a a game where 2 to 4 the player must work together as a waiter and chef for serving restaurant customers who come ... and for the sake of preventing anger of customers who are not satisfied with the service. Note: this game can't be played alone. After entering the alias, and the same room name as some other players, the players will be given a role randomly either as waiter or chef. 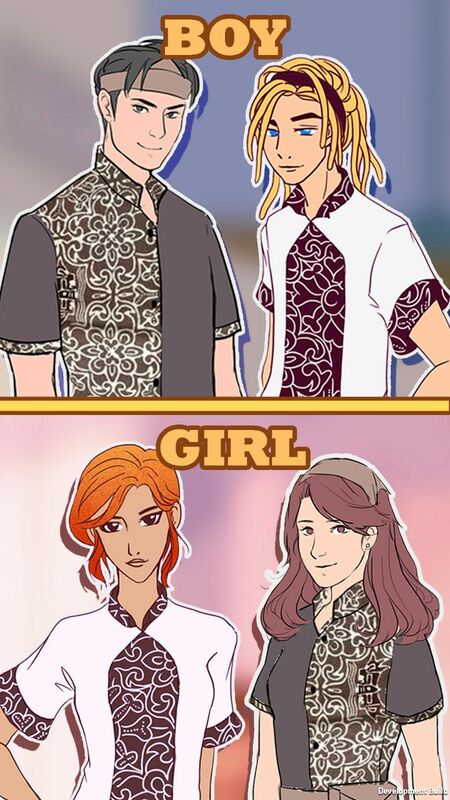 The player will play one of the 4 traveler characters according to roles and choices gender player. Each role can do things that are not can be done by other roles. Verbal communication holds the key in keeping the restaurant running. The waiter faces the customer directly and can see customer order. 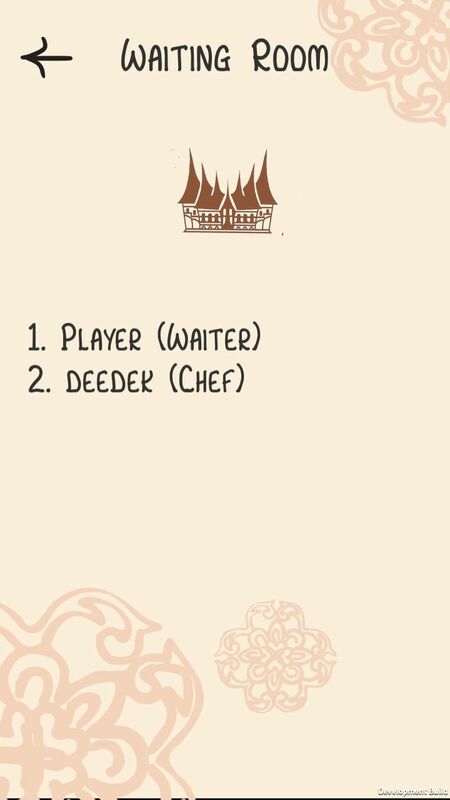 The waiter is in charge of notifying the order customer to the chef, and then deliver the order (with how to drag food) to the customer. Waiter can only accommodate a maximum of 3 meals sent from chef at one time. one time to shorten cooldown. 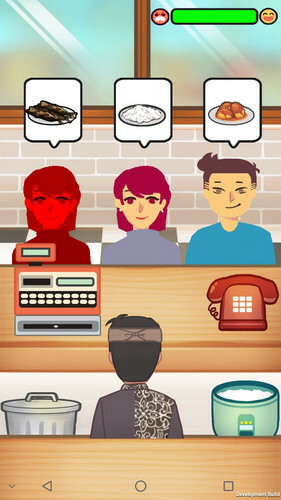 In the upper right corner of the screen there is a reputation bar from the restaurant. Reputation will increase (green) when we serve customers well and will go down (in red) if one gives an order or doesn't serve customers quickly enough. If the reputation bar gets to the end, angry customers will ruin the restaurant and the game will end. Along with the game and its maintenance restaurant reputation, more customers will come. In the middle of the game, there can be cats that enter the kitchen. If there are cats in the kitchen, then the food will disappear mysteriously one by one. Chef who sees the arrival of the cat must tell waiter to call the security guard. Waiter must pressing the phone to call the security guard for the chef in need, so that then the security guard will drive the cat away. Download apk file and install the game on your Android phone - Please allow installation from unknown source on your phone settings.